A faction within Turkey’s military announced that it had seized power against president Recep Tayyip Erdogan. 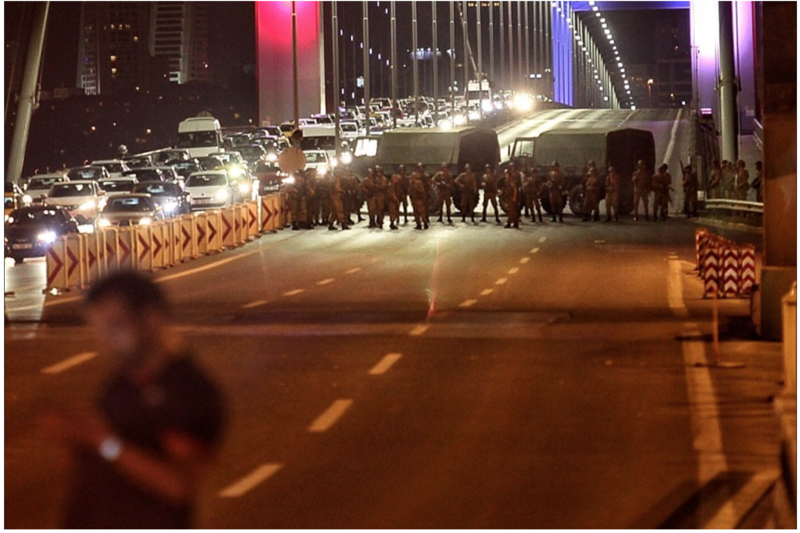 The statement accused Erdogan of « eroding the country’s secular traditions », Martial law was announced and a curfew was implemented late Friday night. The Gulenists are followers of Fethullah Gulen, a US-based Muslim cleric who seaks the formation of a « Parallel Structure ». The Gulenists have denied any involvement. The group within the military responsible for the coup is a self proclaimed « Peace Council ». Their stated objective is to establish an interim government and « reinstall democratic practices ». « Multiple reports of explosions and shooting are coming out of Ankara, with some stating that at least four explosions were heard. Tanks are opening fire around the Turkish parliament building », Press TV reports. Are we dealing with an attempted « regime change? The US led « counter-terrorism » operation against the Islamic State is largely intended to protect rather than destroy ISIS and Al Qaeda forces fighting the government of Bashar al Assad.